Definitely a favourite in the TS office! 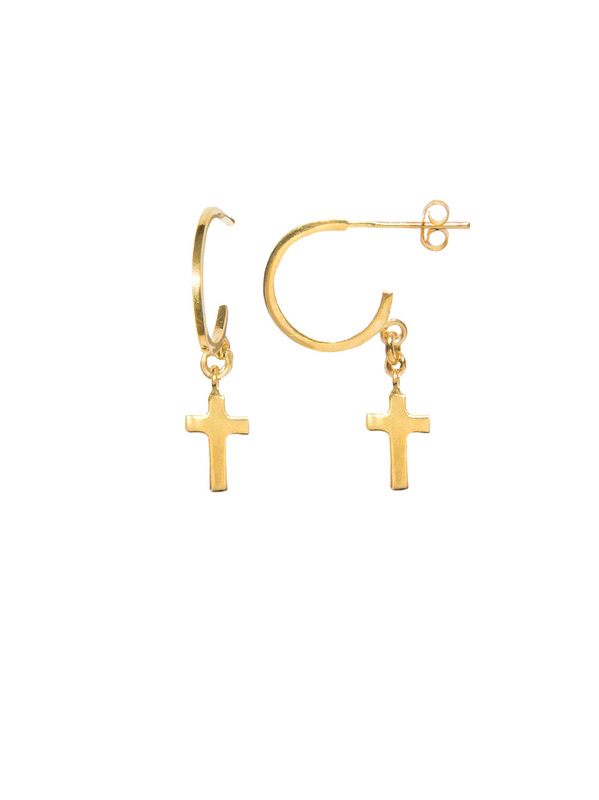 These gold plated cross hoops look so good mixed in with a variety of different studs and hoops. We love wearing the pair in one ear for maximum impact! Minimal in design but maximum in impact, these enchanting, gold plated hoops will quickly become your go-to choice. Wear day in, day out for a less-is-more look. The hoop is 1.5cm in diameter and 3mm thick.